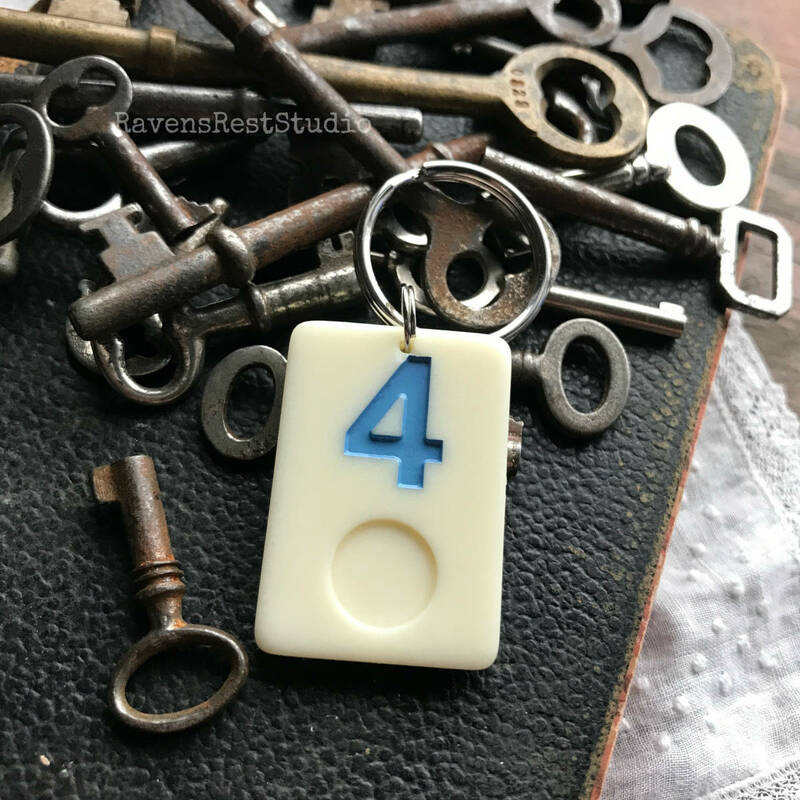 I made this key chain using an old game piece tile (Rummikub). 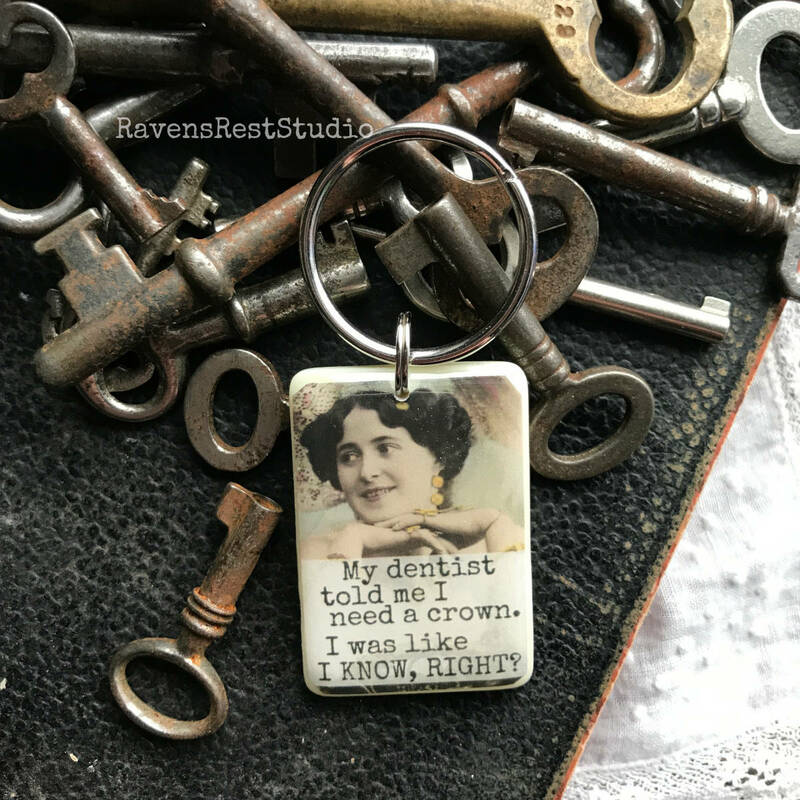 This one features an image of a vintage woman and reads: "My dentist told me I need a crown. I was like I KNOW, RIGHT? ", and is sealed with a thick, glossy coat of resin. 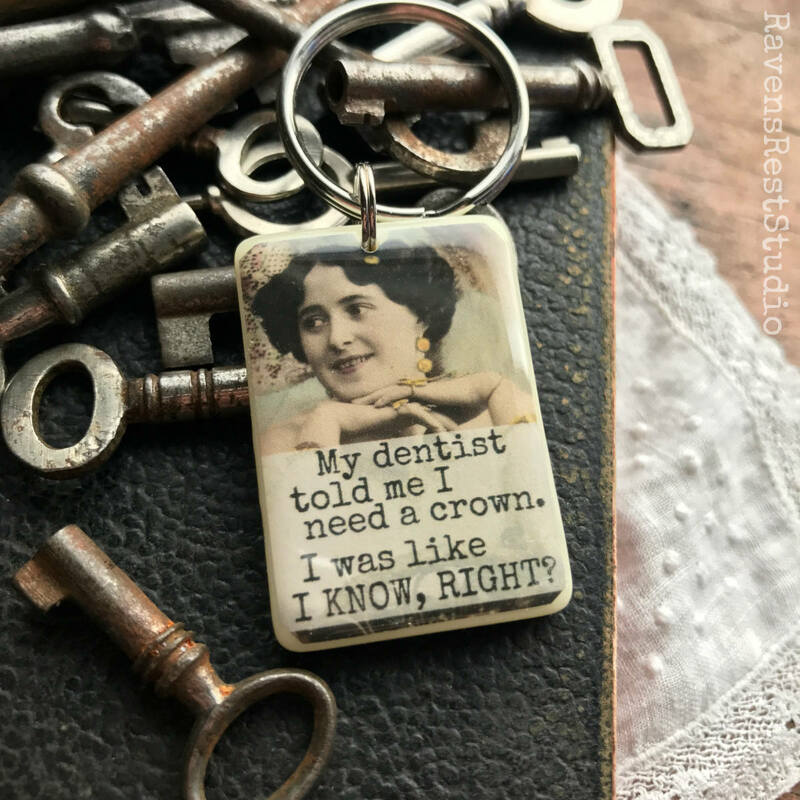 This key chain has a red number 2 on the back and measures 1 inch by 1-1/2 inches. Very cute and funny card! 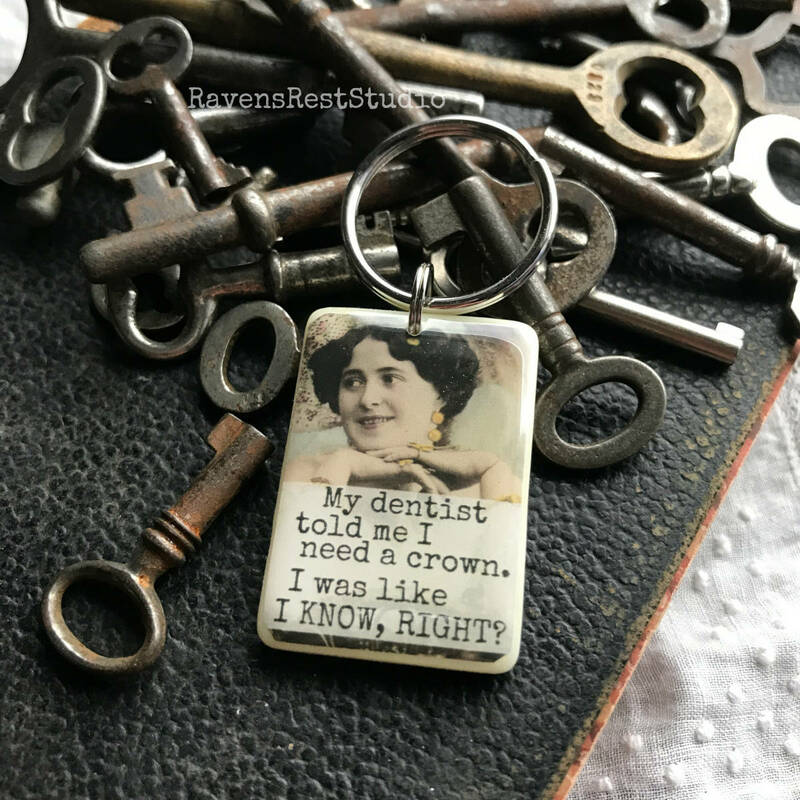 My Grandmother is going to love this keychain on the back of one of her favorite game pieces! Fast shipping and quality product. Thank you.